We partnered up with Perrier-Jouët this summer to create Club 150, effortlessly transporting our guests to France’s most covetable coastline without even boarding the train. You can sit back and enjoy art, Champagne, gin cocktails and a food menu celebrating the best of UK and France, in an elegant beach terrace bar inspired surrounding. Taking over Champagne Bar from 15 July to 9 September (now extended until 16 Sept due to demand), Club 150 takes inspiration from the beach bars made famous in the South of France, with DJs playing chilled soundtracks on Saturday evenings. 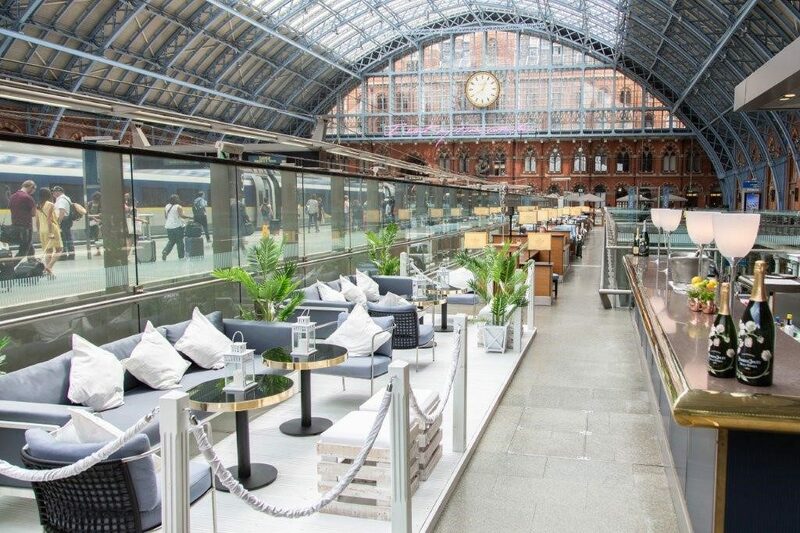 Book for our Champagne Bar here or email us on events@stpancrasgrand.co.uk to book the Champagne Lounge for groups. The Market Menu – or Menu du Marché is available for diners in the Brasserie featuring typical Provençal dishes, such as Sardine beignets or Salted cod Brandade fish cake.